Discover a Proven Medical Neuropathy Treatment With An 87% Success Rate! 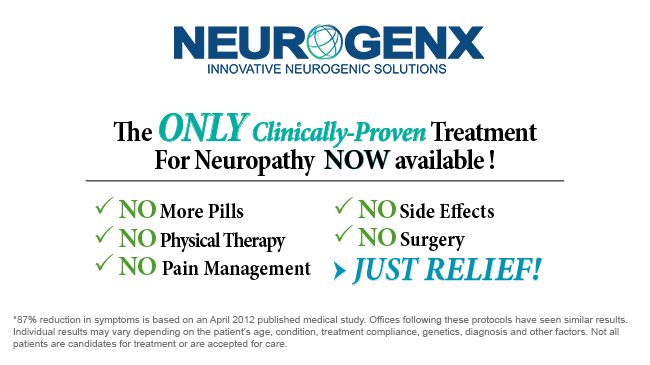 The Neurogenx treatment is a BREAKTHROUGH that reduces or eliminates neuropathy symptoms for 87% of patients. Our medical providers are passionate about what they do and our patients are excited about the results they’re getting. Patients often report being pain-free for the first time in years! Can you imagine that for yourself? Do You Suffer From Any Of These 6 Symptoms? You might be a candidate for this revolutionary treatment. FDA-cleared and patented as the only device of it’s kind, that may be used as a conservative, non-narcotic, non-surgical, standalone treatment for chronic nerve conditions. 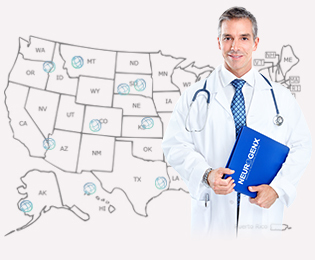 You will receive our FREE, Patient-Exclusive Report which will answer most of your specific questions.